It's time for another Marleylilly Giveaway Y'all!!! 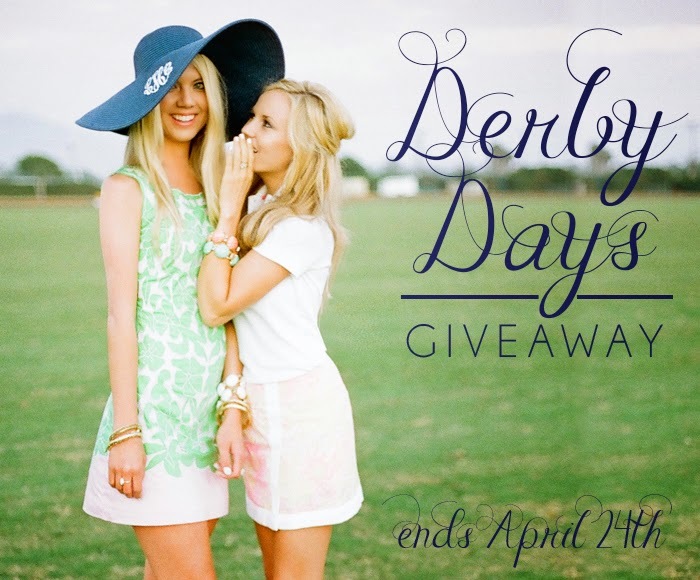 What's a better way to start off derby season than a week long giveaway event!? That's right, it's time for MARLEYLILLY DERBY DAYS!!! It's a week long extravaganza of giveaways with a new winner EVERY DAY!! Whether you are headed to the beach, the pool or the races - we have 150+ styles of Monogrammed Derby Hats available that will fit everyone's personality! We love derby season so much we want to give all of our fans the opportunity to win their very own Marleylilly Monogrammed Derby Hat! Make sure you are following us on Facebook, Twitter, Instagram & Pinterest for a chance to win every day this week! We also wanted to share our favorite Derby Day looks with you! We love these fun, bright, and adorably classy, but trendy ensembles that were just made that much better with a little touch of Marleylilly Monogram (or two)!! Want to know details about each outfit above? Click the photo above to view all details!! Make sure you are following us on Polyvore for more amazing outfit ideas!! We want to wish you all a fabulously monogrammed derby week and may the odds be ever in your favor! !